I won these Kbeauty brand WHEN Facial Masks via blogger contest since I have always wanted to try out them after seeing on beauty blogger reviews and Birchbox!! Each face mask has a purpose whether its for relaxation, hydration, or treating your face before makeup!! 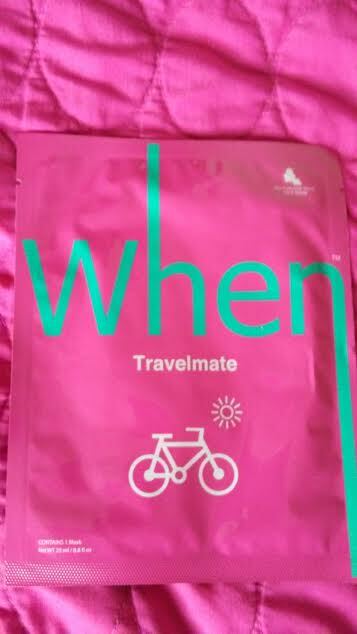 I am not much of outdoor person but this WHEN Travelmate is perfect for treating my face to sun, wind, and dry air exposure!! Today is wet and rainy Fourth of July Monday so I will be saving it for another day and post my results!!! 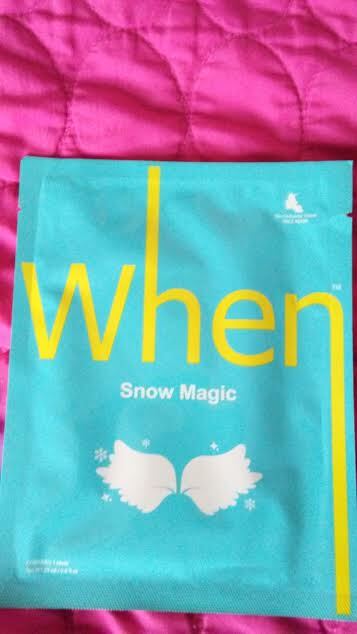 This WHEN Snow Magic is an illuminating mask for my face which I don't need right now since its Summer and its all about bronzers, golden glows, and self-tanners!! I will be saving this towards the Fall/Winter for this particular mask!! WHEN Last Choice is a hydration mask which I use like NOW for my dry skin evening indoors with the air conditioning running but also dries out your facial skin!! 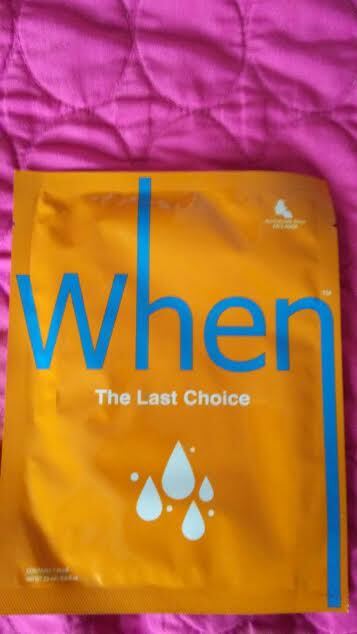 I will let you know about my results with this mask!! 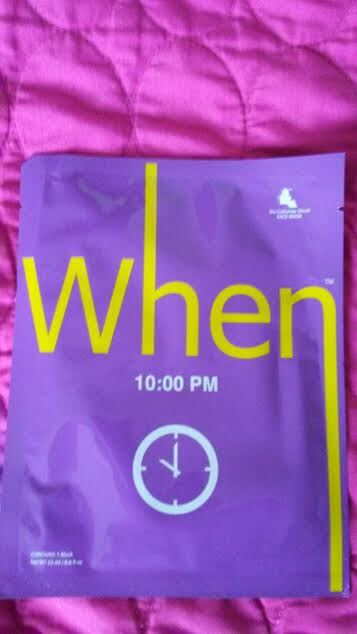 Wow, gone are the days of studying late night and no end in sight which what this WHEN 10:00 PM face mask is for tired facial skin that needs to be refresh before bedtime!! I have used most masks before Bedtime and rarely a daytime face mask but I will let you know about my results with this mask! 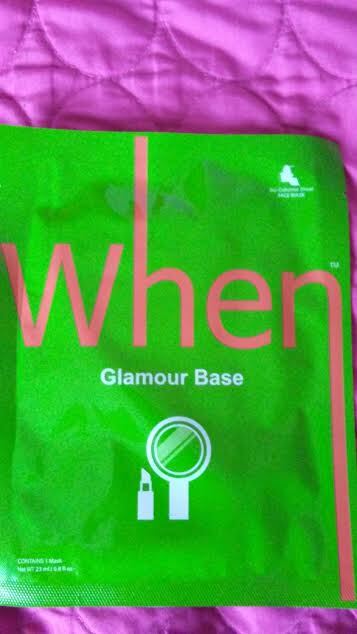 WHEN Glamour Base facial mask is perfect for special day beauty treatment before applying makeup and I will save it for a special day or event and post my results!! 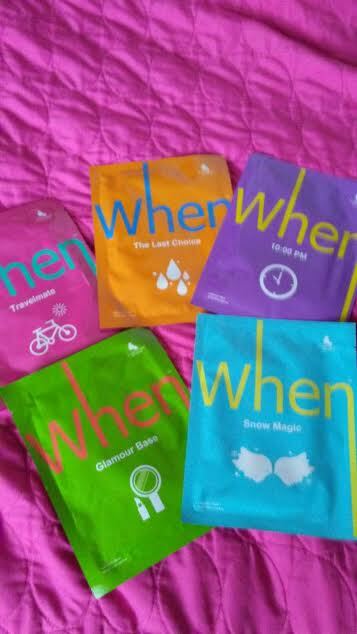 So these are the WHEN Facial Masks that I have won and can't wait to try out especially the WHEN The Last Choice (orange packet) for my dry skin! !